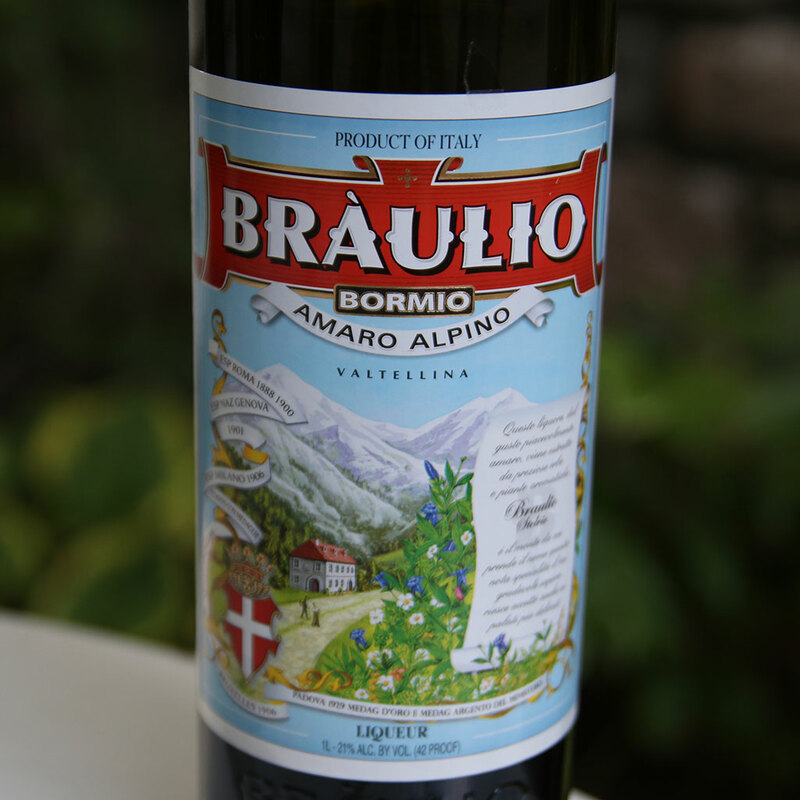 If we had to imagine what the Alps taste like, it would probably be something like Amaro Braulio. Braulio is made in the town of Valtellina near the border with Switzerland, as it has been since 1875, with more than twenty mountain herbs and spices. It’s one of Italy’s many, many herbal liqueurs collectively known as amari — which include more familiar bottles like Aperol and Campari, as well as more esoteric bottles like our new friend Braulio. It’s rich and weighty, pleasantly sweet, but with a bracing, almost refreshing bitter backbone, and complex layered flavor. It just tastes like a mountain forest — a little floral, a little earthy, crazy-herbaceous, with a strong mint-menthol aspect too. Amari like Braulio show you why such liqueurs are known as digestivi; take a sip after dinner and you really can feel your stomach being soothed. But there’s no reason to confine Braulio to a neat sipper. These three cocktails play up its cool, herbaceous character. Mix equal parts Scotch and, well, anything, and odds are it’s the Scotch you taste; its character is just that strong. Not so with Braulio. All its Alpine-forest flavors stand up well to the powerful whiskey, though muted just a little. Add soda, top with mint to bring out the herbal flavors, and you’ve got a 30-second highball that takes Braulio from an after-dinner drink to a pre-dinner aperitif. Instructions: In a tall glass with ice, combine 1 ounce of blended Scotch (we’re using Famous Grouse), 1 ounce of Amaro Braulio, and 3 ounces of club soda. Garnish with a mint bouquet, tapping the mint on your hand first to release its aromatic oils. Whenever a cocktail ingredient is piney and herbaceous, our thoughts immediately go to gin. Mix Braulio and a good London dry gin and what you have isn’t really like a martini — Braulio is too dark and rich for that — but drinks almost like a Martinez, a lesser-known classic that combines gin, sweet vermouth, and maraschino liqueur. Instructions: In a mixing glass with ice, combine 1 1/2 ounces of gin (we’re using Beefeater), 3/4 ounce of Amaro Braulio, and 3/4 ounce of honey syrup — that’s honey mixed with an equal part of hot water so it’s easier to stir. Add two dashes of Angostura bitters. Stir all those ingredients together until well-chilled, then strain into a rocks glass with fresh ice. Garnish with a lemon wedge, squeezing it in before you drink. Traditional whiskey sours were made with an egg white, which gives the drink a rich, luscious texture, and also helps slightly tame the powerful flavors of whiskey and lemon. Add Braulio, and you’ve got a drink that softens its aggressive herbal character while still letting its complex flavors shine through. Instructions: In a cocktail shaker without ice, combine 1 1/2 ounces of rye (we’re using Wild Turkey), 3/4 ounce of Amaro Braulio, 1/2 an ounce of fresh lemon juice, 1/2 an ounce of simple syrup, and 1 egg white. Add 1 dash of Angostura bitters. Shake all that up hard without ice, then add ice and shake again. Strain into a chilled cocktail glass and garnish with brandied cherries.